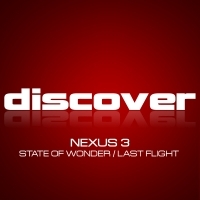 A new collaboration pulled from the depths of the London trance scene, The Nexus 3 aim to bring you deliciously uplifting, excitingly fizzy, powerful trance. A fusion of old-school passion and energy with bang-up-to-date production values. Custard (aka Paul Mayes) is a resident DJ at the top word of mouth event Planet Angel. The last decade has seen him play for an array of promotions, like Vaccine, Extreme Euphoria, Innovate, Tidy, Raindance, Spangulation and Addiction. Tequila Slammer has been a DJ for almost 15 years, playing at every kind of venue from filthy squats to Buzz in Washington DC. His home though, (both spiritual and physical) is in London, where he's been a resident at the legendary Planet Angel since it started 11 years ago.